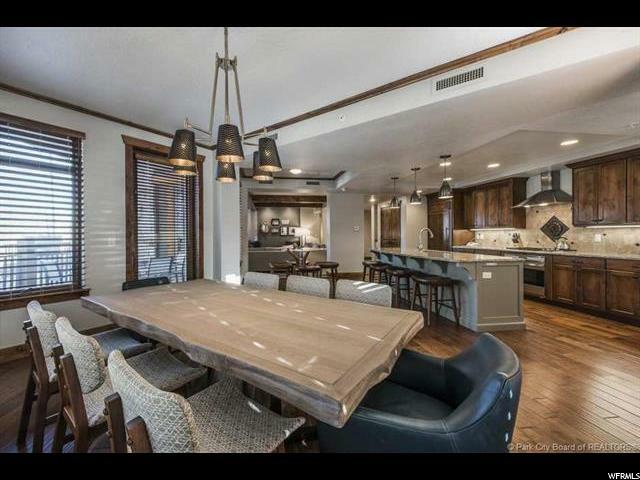 All HYATT ESCALA homes currently listed for sale in Park City as of 04/18/2019 are shown below. You can change the search criteria at any time by pressing the 'Change Search' button below. "A rare find at the Hyatt Centric complex, this recently remodeled ski in ski out residence offers one of the largest floor plans among three bedroom properties at 2300 square feet, offering the diversity of a lock out to divide the property for income generating benefits or enjoy with the whole family, currently furnished to sleep 10. The residence also offers unusually large outdoor deck space which sets it apart from other 3 br properties. With the finest finishes, appliances and furnishings, Unit 154 offers a spacious modern layout perfect for entertaining, and offers a fusion between rustic and contemporary d cor elements. With expansive mountain views, ease of access to skiing, shopping, dining and nightlife at the Canyons Village base lodge area, and offering on site amenities such as an outdoor heated pool, 2 hot tubs, restaurants, fitness, conference room and more, this is an ideal spot to purchase a vacation residence."